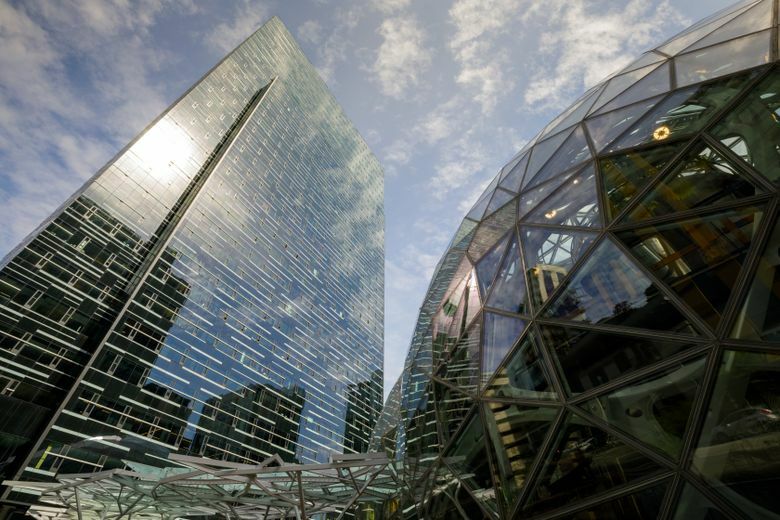 AREN’T YOU EVEN a tiny bit curious about the green world inside The Spheres, those giant bubblelike structures in downtown Seattle? 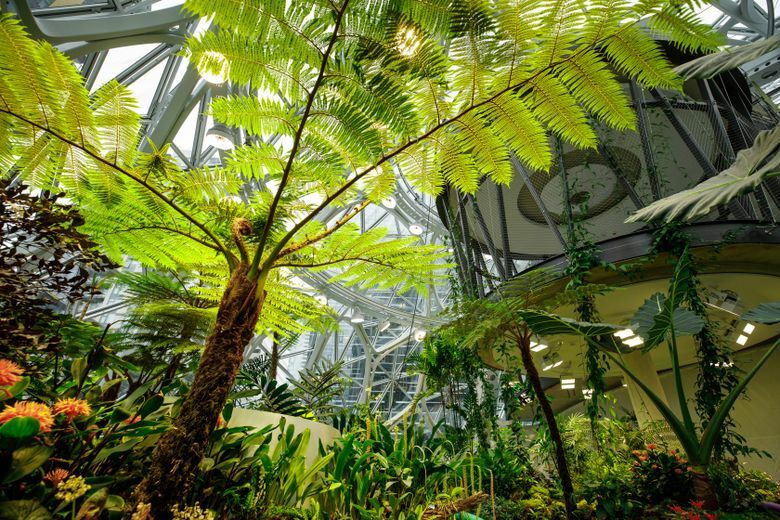 I was agog when Ron Gagliardo, Amazon senior horticulture manager, led me around the exquisite creation, which is in fact an Amazon workspace. This is not “decorating with houseplants,” but a thoughtful environment designed to unite humans and horticulture. It seems the world is catching up to what we gardeners have known for some time: Humans think and work differently in the presence of nature. Simply put, Amazon is betting on plants to boost creative thinking and productivity. “ ‘Learn and be Curious’ is one of Amazon’s 14 leadership principles,” Gagliardo says. “That concept is fundamental to everything that’s going on here at The Spheres.” More than just an impressive workspace filled with lots of supercool plants, the immersive environment is intended to educate and inspire environmental stewardship. “I have the best job in all of Amazon,” he says. “I get to think up ways for people to engage with plants.” “Spheres Ambassadors” who are trained in horticulture are available to answer questions, point out seasonal blooms and interpret biodiversity conservation initiatives. Everything about this project is engineered for optimum results. Technically, it’s an indoor cloud forest: a tropical or subtropical, mostly evergreen, moist environment with daytime temperatures around 75 degrees with 60 percent humidity, comfortably amenable conditions for the plants and people alike. Under Gagliardo’s leadership, a team of 16 horticulturists is responsible for curating and caring for approximately 23,000 square feet of plantings in The Spheres. There’s also an ambitious greenhouse propagation program in Woodinville, where they tend almost an acre under glass. 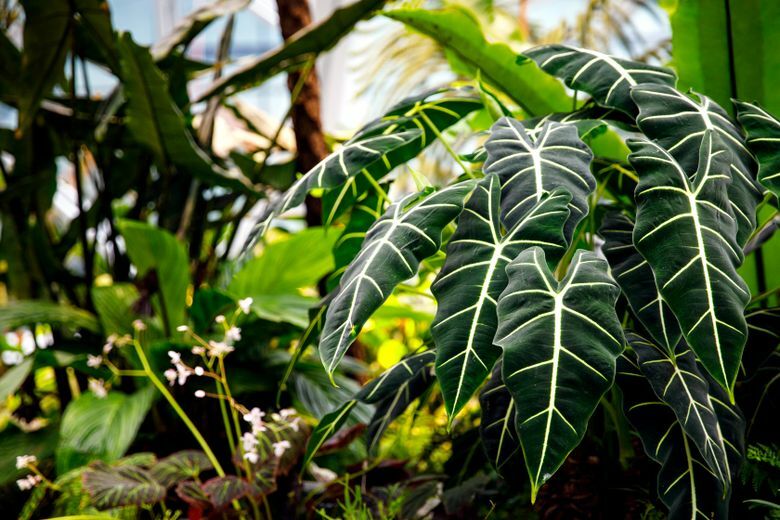 All told, the collection contains about 40,000 plants, representing 3,000 species from 110 plant families, all sourced from botanical gardens and university botany programs, as well as commercial and private growers throughout the world. At 65 feet long and four stories tall, the Canyon Living Wall is the largest installation of its kind in the country. Three times a week, living-wall expert Ben Eiben and a crew of fearless gardeners hoist themselves onto a vertiginous suspended platform (think high-rise window washers) to meticulously tend 25,000 plants covering 4,000 square feet of vertical wall. With the exception of recirculating irrigation integrated into the living walls, all plantings are watered by hand before The Spheres open each day. To maintain an environment that’s healthy for plants and humans, the team adheres to integrated pest management principles. Pest and disease controls are limited to horticultural oil or soap sprays, and beneficial insects are released into the environment at regular 2-week intervals to further control pests. Satisfy your curiosity. This remarkable garden is open to the public by reservation on the first and third Saturdays of each month. Details at seattlespheres.com.